One of those questions that are often asked by VMware newbies is How-to Apply VMware Free License to VMware ESXi 6.0. Because even if you think that the product is free, it must be licensed. If not, it installs as 60 days trial, which expires after….60 days. Compared to other hypervisors, the free version of VMware hypervisor is somehow limited, because it does not offer vMotion, HA, Fault tolerance etc. Also the hosts running Free VMware Hypervisor cannot be managed via central management server – vCenter server, but it’s managed via vSphere client which is free and it’s available in the download page along with the other tools. But as I said, you have that 60 days trial period where you can play with all the functions (if you have 2 hosts at least). In this post I’ll quickly show how to activate the free version of VMware Hypervisor as this was the intend of this article. People who knows their way can skip to another article or share for their colleges who need this information. When you download VMware Hypervisor it starts 60 days trial of the full (unlocked) version and during this period you must enter the serial number. 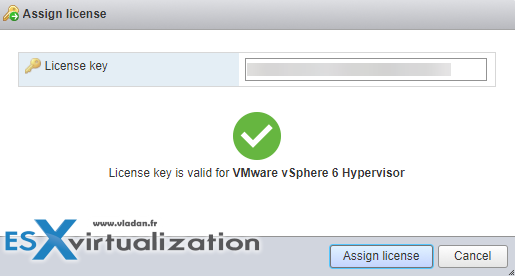 How-to Apply VMware Free License to VMware ESXi 6.0? 01. Download the VMware Hypervisor from this page (you’ll need to create an account if you don’t have one – it’s free). Make sure that you check all the necessary boxes that you agree to the license terms and on the same page you specify how many hosts you have in your environment – you can go up to 999 …. 02. Install the Free hypervisor on your hardware and install the vSphere client on your management station. You can burn the ISO file to a CD or you can use a remote console like iLo to mount directly the ISO image. I won’t document the installation steps in this post as it’s been done before. I have even done a video showing the installation of ESXi in VMware Workstation – Installation of ESXi 5.5 in VMware Workstation. The vSphere client needs a Windows system. It can be your laptop or destkop PC running Windows XP SP3 , Vista, Seven, W 8.x. Then paste the license into the form and hit Check License button, which changes into Assign License button. Main differences between ESXi free version and first lowest cost bundle, for example, the vSphere Essentials, is the fact that you cannot use commercial software for backup of your virtual machines (VMs) running on your ESXi. It’s because some APIs become read-only and some are completely made unavailable. The ESXi Free version is the same download as the full-blown ESXi but stays unlocked only for 60 days. It is the exact same ISO image. Thanks for the article and great site – do you still have your ebook available for nested VMs (http://www.vladan.fr/nested-lab/)? After subscribing, I still haven’t received link for download or ebook, I’m keen to get practising.. Thank you very much for this. I have installed VMWare numerous times on my HP Microserver and been given the Free Licence by them but never known what to do with it and it has expired losing all the work I had done. Yes, I always keep in mind that my blog readers aren’t all VCPs or VCAPs and sometimes obvious thing for one isn’t that obvious for other. Hi Vladan, thanks for the post! I´ve just start a new blog about virtualization and homelab in Brazilian Portuguese. I would like to ask you if I can translate and share the content of this post on my blog and surely give you all the credits. sure no problem as long as you give credit. Another good point you can also manage free esx from VMware fusion pro on Mac OS X I read a lot of Mac users complaining as the vSphere client is only available for windows and no vcentre web client for free version so VMware fusion pro is a handy tool for management. Can I apply the free licence for ESXI 6 on the old ESXI 5.5 ? I have the same problem. I’ve downloaded the custom ESXi 5.5.0 image for my HP Proliant microserver which doesn’t support ESXi 6.0. Now when I generate a licence on the VMWare web site it is generated for 6.0 only and the licence doesn’t work for the 5.5 version. I couldn’t find a way to generate the licence for my particular ESXi image on my.vmware.com – any suggestions? Hi thanks for helping, I have the same issue and this link is no longer available. it worked just now – try again. Just brought a HP microserver gen8 (nice piece of kit), knowing VMWare was ‘free’. I used HP procurve custom image and just the 60 day evaluation license. So should I understand that if I apply the Free licence key now my ESXi will switch immediately into the free edition with some limited functionality. But if I’ll leave it running in its 60 days evaluation mode for a while, it will run with all its features turned on – is that correct? That’s exact. By applying the free lifetime license you will downgrade most of the functions. This mean can not install in Physical Server only in physical hosts right ? Server or host, it is the same :). I am an X organization and i provide/maintain IT services for Y company. The Y company has child sites spread all over – each individual site is having a single host running ESXi 5.5 freeware version and has its own local domain like .local . these sites are not part of the Y company’s domain and are managed locally at the site. Now, Will i incur any hefty fines from VMware for running a setup like this? or is this completely fine? Any reference to any document citing the freeware usage on esxi 5.5 will be very much appreciated. 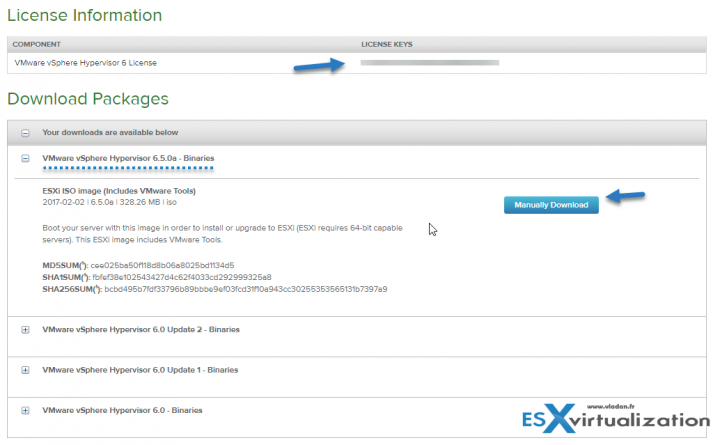 Can we use free license for Cisco customized Esxi 6.0 ? I would not see a reason why you would not… But I don’t work for VMware or Cisco… -:). I didnt try with free license just installed Cisco customized on UCS i will try to install free license and let you know. Im trying to download license file for below downloaded Esxi 6.0 cisco customized image but i couldn’t find license key. I was unable to find free license key for below downloaded Esxi 6.0 cisco customized image. Well, I do not have a clue. Perhaps VMware does not provide free license for customized manufacturer’s ISOs. Why don’t you just go and register for Free ESXi (non customized) ISO and get the key from there, to apply it on your ESXi UCS customized ISO? I’ve downloaded ESXi 6 custom image for one of my clients and then registerand an account for him to obain free key but when, after ageing for about 100 years , I finally were able to find the key it says it is for 5.5 and that this is not valid for the product when I try to enter it on my host. How and where can I do it . What about usage for commercial purposes , is it also allowed ? I was rather concidering situation where police will one day knock to my home/company and ask for licence. I read somewhere in net that vsphere with free licence is allowed to be used at your company. The only problem is as you mentioned , in case of any non standard problem in your environment where support might be needed. Thanks for the post. It was helpful. I have two servers and I am running the free 60 days Lincese while managing the servers with the vMWare client. My question is, at the end of the 60 days of free license, will the system go blank or what limitations will I have. And if I wish to purchase a Lincese, what type of License do I need to manage the two server. I am running same virtual appliances on the two servers for redundancy purposes. I’m guessing that you did not install vCenter server to manage both? After the 60 days all the features stops working and you won’t be able to start any VMs. 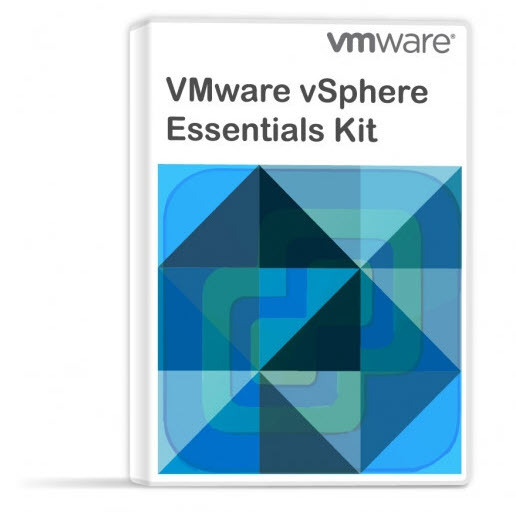 If you don’t need features like HA or vMotion you just needs to buy a vSphere Essentials license. It’s a basic license which unlocks some features plus gives you an option to manage both hosts via the same console – with vCenter server. You also be able to use backup software (not working on free edition of ESXi) lik the one from Veeam for example. (there is also a trial if you want to test it). And amazing B&B, one day I will visit it (I hope!). One question. If i enter thw licence key and after the 60 days pass, then can i enter more new VMs? I would like to convert a physical machine to vmware version 11 using a free license, are there are limits I should be aware off after the 60 day trial expires? Will the machines keep on running after the ESXI is rebooted. ESXi Free version is free (forewer). This is no 60 day trial…. Thank you for the article, it was very useful for me, it helped me to fast get the licence needed. Is it possible to know which function are depreciated with the free version of ESXi 6.0. I would like to apply this version to a prod server with few VM running on. Absolutely. Free version, even if not limited on pMemory has those limits. Additionally, vStorage APIs are locked out so you can’t use any backup software to backup your VMs while running. So basically it’s good for testing or POC, but not for production where you need incremental backups, archiving etc… The Essentials Kit unlocks the limitations plus in addition you’ll get vCenter server which allows you to manage up to 3 ESXi at the same time. We have 6 hypervisors but just 1 licence for vCenter, so just 3 hypervisors can be managed. I would like to update free licence for my 5.5 hypervisors in standalone functionment. With the free version of ESXi 6.0 is it possible to make snapshot, I’m going to update? So is there a limitation on the number of times you can use Free ESXi license ? after thorough research I’ve upgraded my HP ProLiant DL380 G7 server from 5.5 (patch-level march) to 6.0 U2 (patch-level april) with the HP provided OEM image. Since the beginning, I’ve always used the pre-installed free HP OEM license, which in the past gave me a little advantage over the “true” free license directly from VMWare. I think that changed with 5.x, where it was in fact just the same as the free license. Since this is mostly test lab with only my private mailserver in production I didn’t feel the need to get the “essentials” license. I was aware about a problem with HP OEM licenses by upgrading to 5.1 or 5.5 where it could become invalid, but I didn’t read anything regarding this with 6.x. Well, after performing the upgrade I couldn’t start any VM, licensing problem. 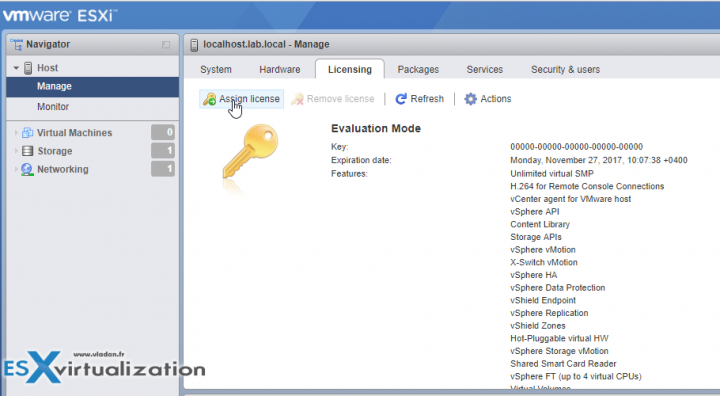 The since 2011 ever-working OEM license file was “expired” the vSphere client reported. Ok, I thought – solve this problem later and apply the test license for 60 days. Guess what? It failed, because the “vmware.lic” file was write protected! I had to chmod it just to get the test license working. Awesome! Thanks for the post, this really helped me out. Quick too! 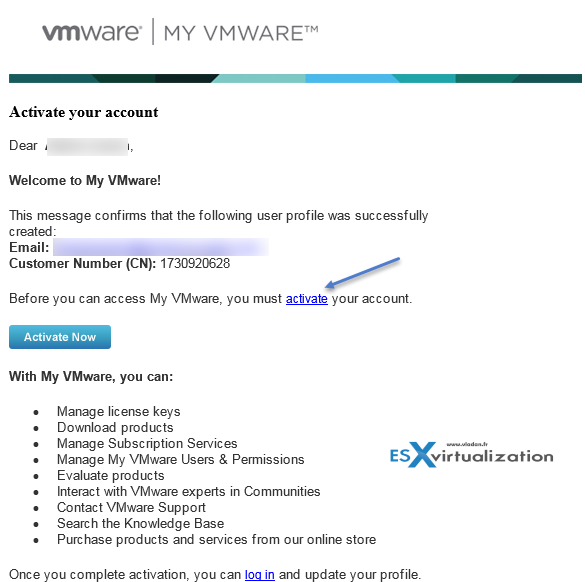 Thanks for your help, Im able to activate get License & activate my Vmware ESXI which is going to expire in 5 days. Hi,license to Vmware ESXi Trial installation? 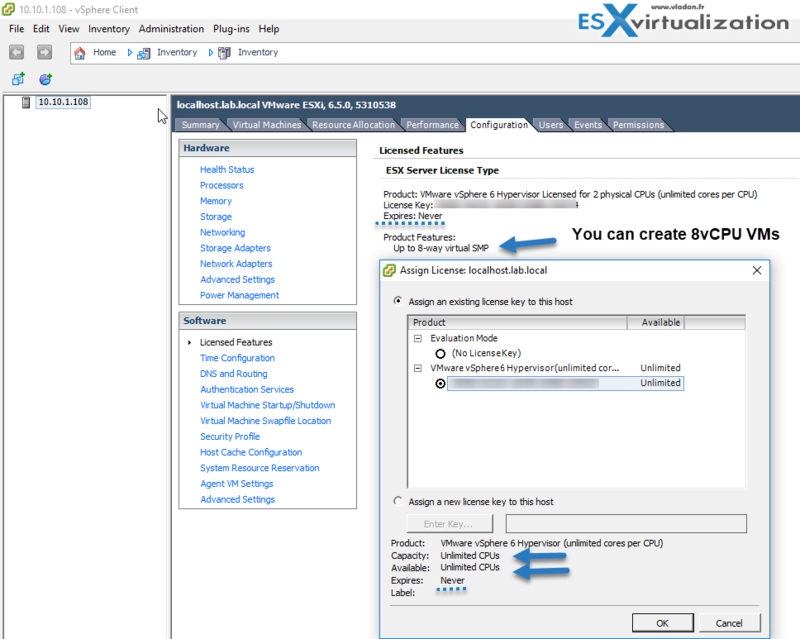 Log in to the ESXi host using vSphere Client. Well you can always apply the free license. As far as I know… Best luck. Hi, generated a license key and put it on my VM ware ESXI 6.5 but while powering up VM, I am getting error -feature ‘Virtual SMP’ not licensed, required 16 have 8. With Free vSphere you are limited to 8 vCPUs regardless of how many cores you have in your physical host. There are no restrictions on the number of cores per physical CPU, on the number of physical CPUs per host and on the amount of RAM per server/ host. According to the Configuration maximum PDF, Virtual CPUs per virtual machine (Virtual SMP) is 128. A great blog post. Can vCentre be used on the free version for 60 days, then it will stop working? No, the free version cannot be joined to vCenter. However, if you install a trial version of ESXi you can, during 60 days, join this host to your vCenter. Thank a lot for your blog. It is tip top!!! Is this means that there is no limit on physical CPU for free license?